The Yuca Diaries: Delicioso Appearance! 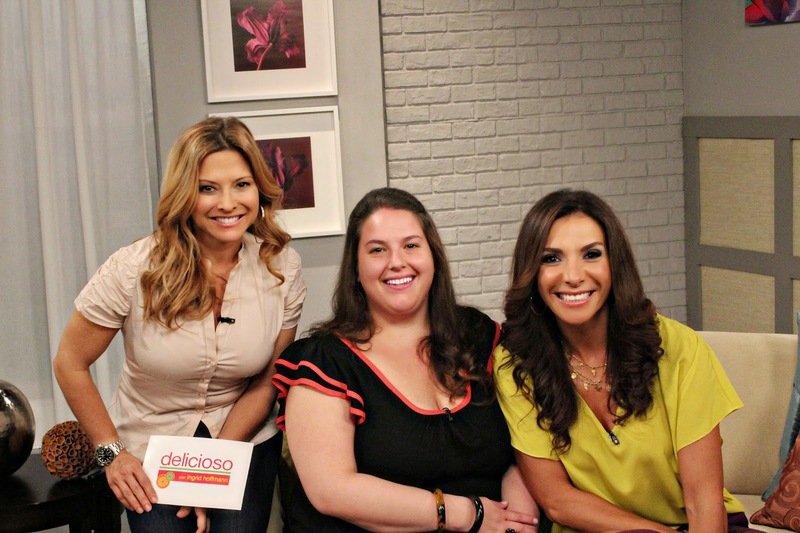 As some of you may have seen here before or through my Facebook or twitter updates, I recently went down to Miami to record a guest appearance on the show, Delicioso, hosted by Ingrid Hoffman and Maggie Jimenez. Back in November, they ran an online poll where the public was asked to vote for their favorite blogger. I received the most hits and was invited to the show as a result. The experience was surreal. I showed up at the set early in the morning. Like a true Cuban, I showed up with a small entourage... my mom, grandmother and brother all came along for moral support. And I needed it, I definitely started to get a little nervous when I walked in and saw all of the cameras, personnel, lights. I felt better after receiving a warm welcome from Maggie, whom I had met in Dallas when I interviewed for the original segment, and from one of the producers who helped make my appearance on the show possible. It was very cool to be able to see how the show was produced an recorded. First they filmed Ingrid's cooking segment, then they filmed the celebrity guest segment and then it was my turn. I started getting incrementally more nervous, but finally I told myself to get a grip and I went up there, had the mic hooked up and said a quick prayer in my head, asking that I not look like a fool on national TV! 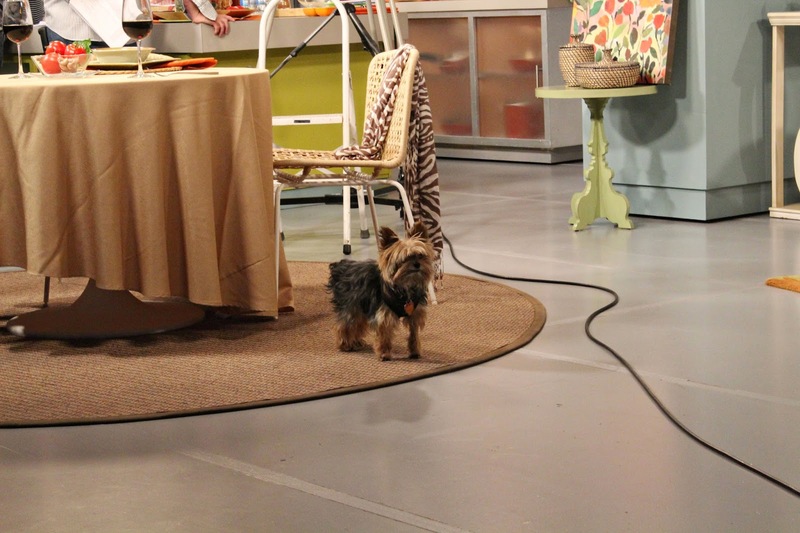 I spoke to Ingrid and Maggie for a little while before the segment was being shot, and then just dove right in. They were both very gracious hosts, you could tell that they've got this down to a science. They were so comfortable on camera that it made me feel more relaxed. 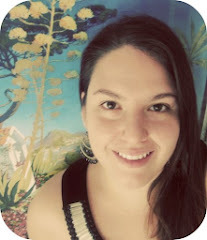 They asked me several questions, like why I started blogging in the first place. I answered and said that I had really wanted to write a cookbook, but had no idea how, and that the blog seemed like the easiest and most convenient way to start documenting my recipes. They asked me a few other questions and to be honest, I was so nervous that I could not, for the life of me, remember what I had said. It was only after watching the show that I realized what I said. 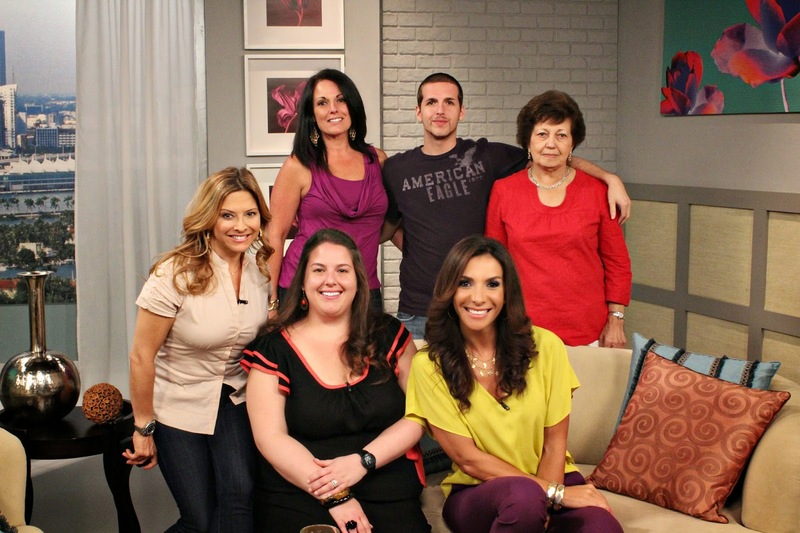 After the segment was recorded, I was able to take a few pictures with the hosts. 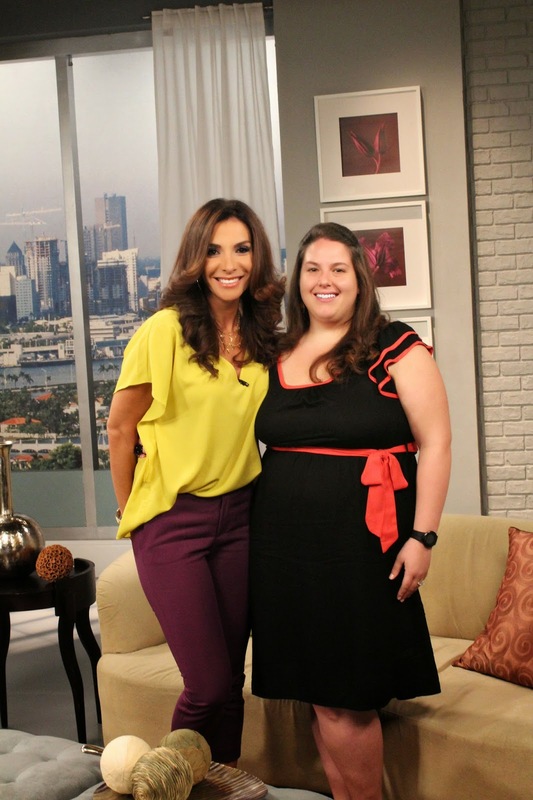 I had a great time on the set and am thrilled to have had the opportunity. Wow!!! That is so awesome. Congratulations! Congratulations on the appearance - well deserved! Really big fan of the site, it helps us to plan dinner meals throughout the week. Hope you will post more vegetarian and vegan dishes.